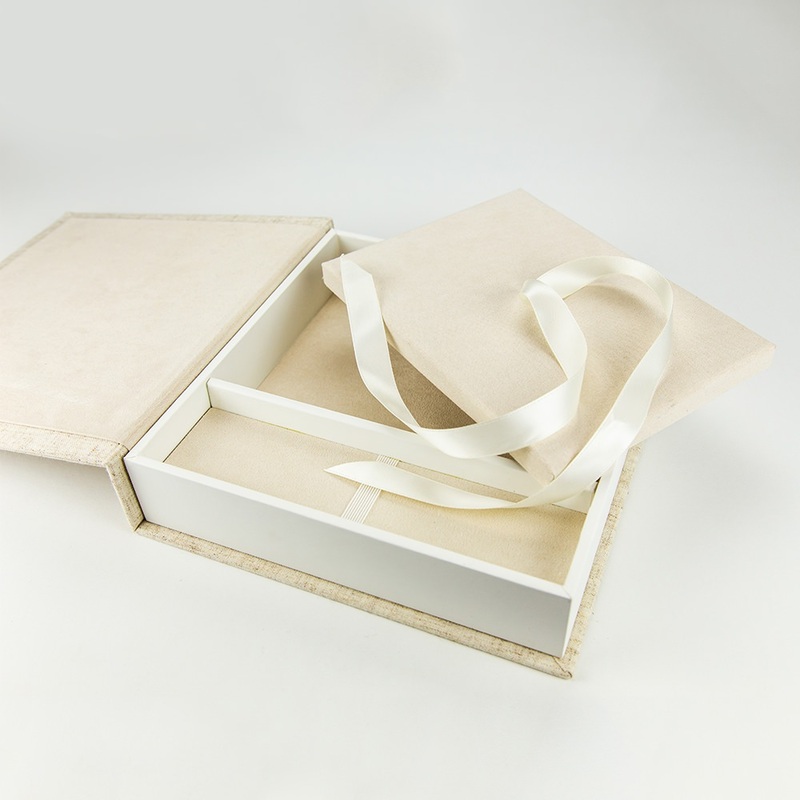 When opinions matter, stun your client with the Impression Photo and USB box. It comes in a clean, natural linen color perfect for any occasion or client. 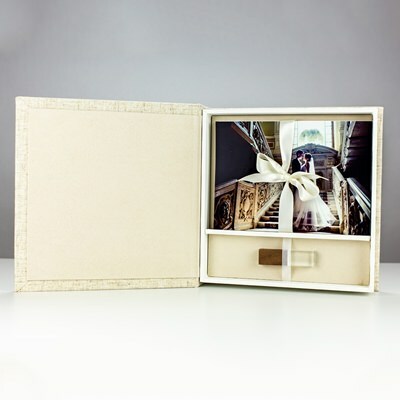 It holds both a custom wedding flash drive as well as up to 150 4 x 6 photographs tied with a matching ribbon. For enhanced dual storage and presentation, the Impression lives up to its name. 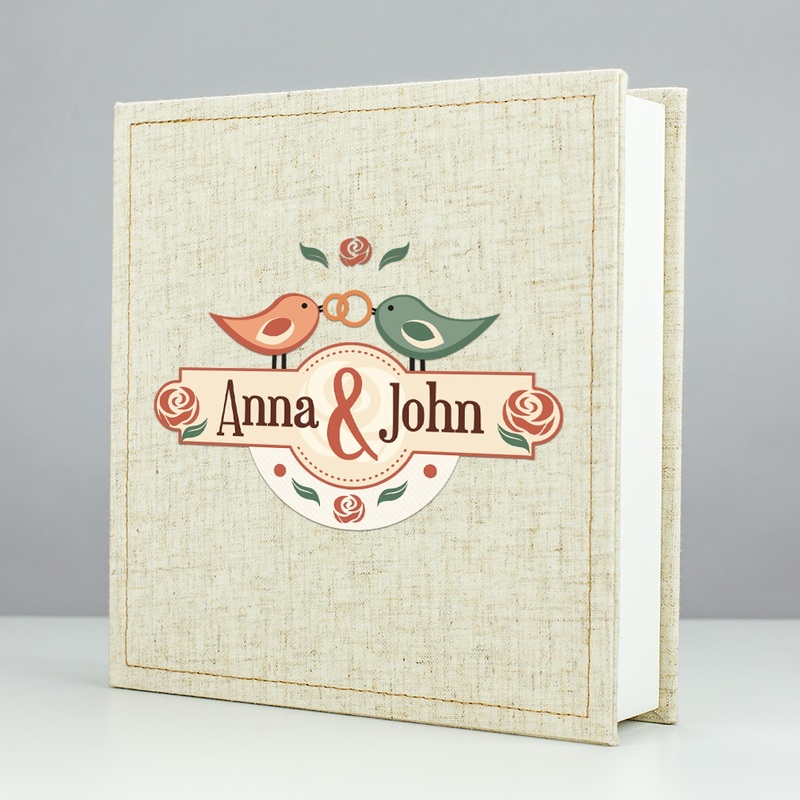 It features a modern linen cover with stitched border to give it some dimension. It has two compartments, one for a flash drive and one for photographs. Each compartment is lined with soft ivory velvet and the photo compartment includes a matching cotton ribbon to tie photos in place. 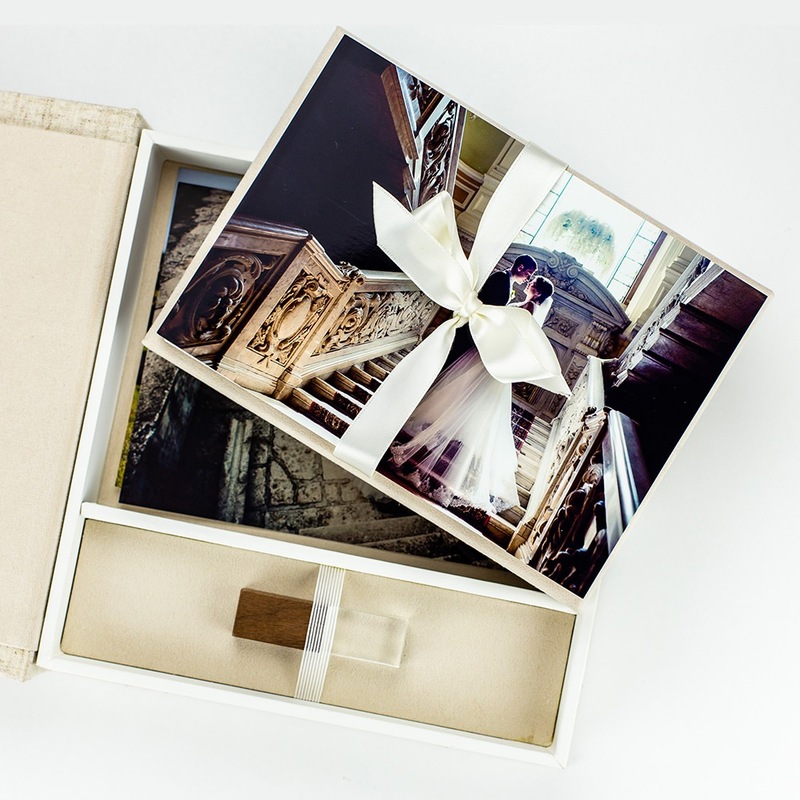 The Impression holds up to 150 photos, but with the included riser you can elegantly store 100 photos or less. The flash drive is secured by a matching elastic band. Overall it provides a sense of order, softness, and completeness that your clients crave.